First of all, let me say that that bump is a baby, not a burrito. Yes – we’re expecting our second child to arrive in February. We are very excited. Your prayers for a safe pregnancy and delivery would be much appreciated. You can get a few more details on my personal blog here. 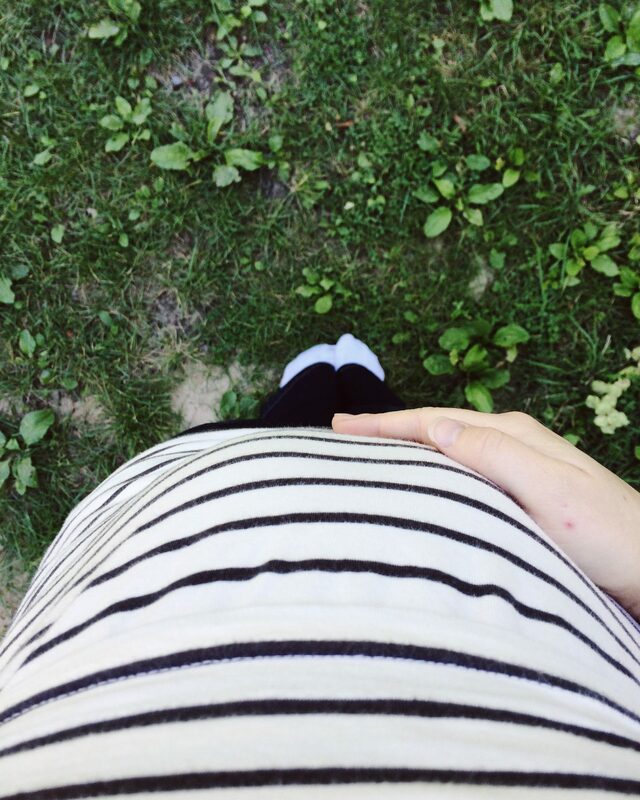 I will also be posting pregnancy updates there, when I get the chance. I’m super super excited about my second announcement. The Pioneer Woman recently re-designed her website, and added a new section called Food & Friends. There, Ree’s friends share some amazing recipes and food tips. I am so honored to be a contributor to that section. 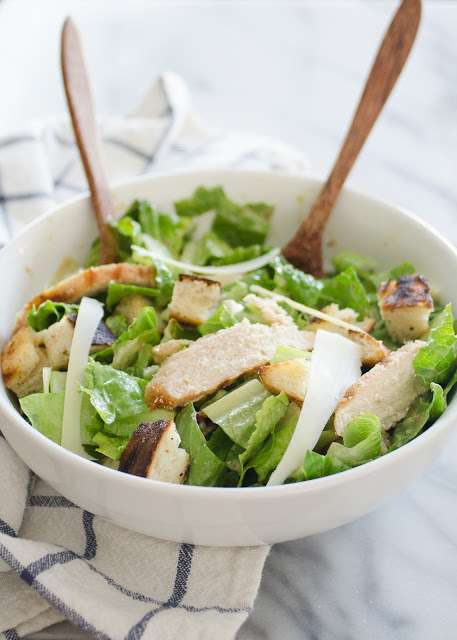 My first post was published last week: Grilled Chicken Caesar Salad. I’m pretty proud of this one, guys. You should definitely make this salad. Just the croutons are worth it. In fact, you’ll probably want to make a double batch so you can snack on them. Mmhmm. Because I’ve been working so hard on Food & Friends, I’ve had less time to devote to Buttered Side Up. But I’m hoping to change that for September. I have also been going through a very hard time recently, and just have not been able to get any blogging done. If you think of me, please keep me in your prayers. Aww, congrats on both accounts! So lovely to hear of your accomplishments. I did look at your salad on Food and Friends. It really made me wish I had a grill because those croutons sound amazing. 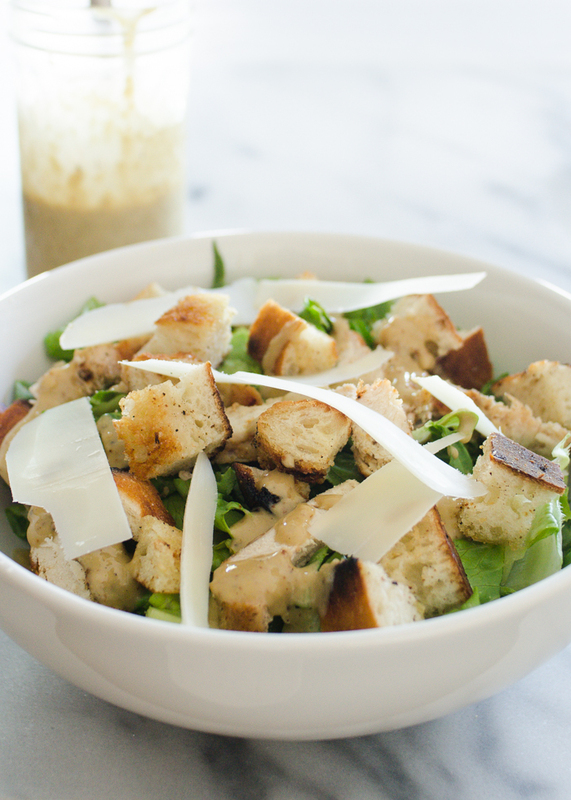 Usually croutons in restaurants are too crunchy – I like a chewy middle. 🙂 I'll be praying for you. I recently came upon your site. Congrats on baby number 2. You have a lovely site. I hope everything works out for you and your days become easier.